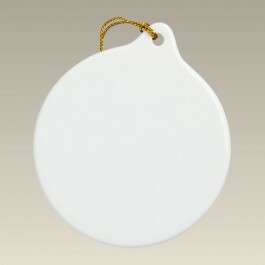 Round Ornament with Hole, 3"
Add a special image to this flat round ornament with hole before adding it to your tree. The porcelain ornament is glazed on both sides and measures 3" in diameter. Includes a string for hanging. Made in Thailand. Square Ornament with Hole, 3" x 3.875"